What makes digital transformation successful, and what is the role of IT, the IT department and the CIO in this ? 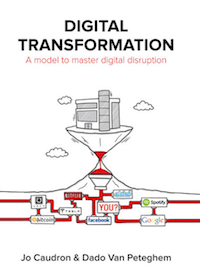 Today, everybody talks about disruption and digital transformation. Digital is no longer the future. It is here, it is here to stay, and it is disrupting every industry. However, many companies are still struggling with digital, and what comes with digital: being customer-centric, agile, lean, mobile-first, fluid and social. Still, our organisations will have to face these changes to survive. During this event, we bring together several thought leaders about digital transformation, and look at how to do this in practice. In particular, we look at digital success factors, digital leadership, and the role of the CIO and the IT department. The IT department as we know it today may no longer exist in 10 years, but many analysts agree that there will always be a need for a "Center of Excellence" formerly known as the IT department that examines the possibilities of advanced technology concepts and embeds these in the organisation. 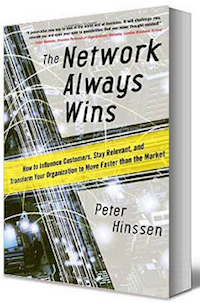 As Peter Hinssen will explain, we live in a VUCA-world (Volatility, Uncertainty, Complexity and Ambiguity) where everything is connected and where change is happening faster all the time, thanks to technology. 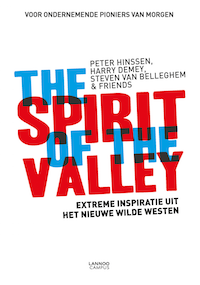 Peter has written "The Network Always Wins" about this, and the more recent book "The Spirit of the Valley" about the difference in culture and appetite for innovation between Silicon Valley and Belgium. 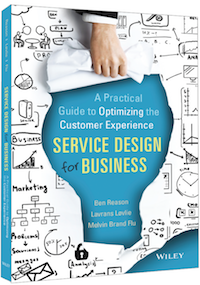 Melvin Brand Flu is a co-author of the book "Service Design for Business". During this presentation with Mike Clark, they bring together the worlds of service design and business architecture to architect the target customer experience. 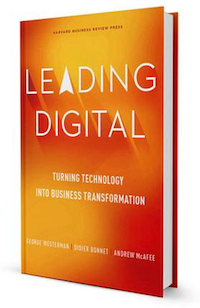 Ron Tolido is a visionary speaker who was closely involved in the book "Leading Digital", co-created by Capgemini and MIT. Dado van Peteghem is the co-author of the book "Digital Transformation", which presents a model and an approach to digital disruption. Ian Cox is the author of "Disrupt IT", a best-selling book that offers a new model for IT in the digital age. This model is both visionary and radical, and will transform the role of the CIO en the IT function forever. If you are a business or an IT decision maker who wants to make a leap forward in digital transformation, don't miss this special event on the 17th of March 2016. This is not just another seminar about disruption examples Uber, Airbnb or Tesla, but a pragmatic howto seminar on the steps and decisions to take on your journey to successful digital transformation.